Transparency in aviation safety management is concerned with what types information various employee roles have in your company. By “types of information” we are mostly talking about safety concerns that are discovered through hazard reports, audits, etc. How much access each role has to those types of information. Transparency concerns can be as simple and straightforward, or as complex as you want. For example, you may not want all employees to know about audit findings. Then again, you may want that finding report to be available to all employees. Maybe you want safety audit findings available to employees in all departments, but you want security findings from audits to be available to only one team. Whatever stance you take on transparency, it’s extremely helpful for all employees to understand what that stance is. They can ascertain this through a transparency policy, or commitment to transparency. How much of each information can each role access. Your organization will likely fall somewhere in between. Large organization with numerous safety roles and responsibilities. As said, each organization is different but the above points will be true for many providers. Should front line employees be able to view reports submitted in their division/department? Should front line employees be able to view reports submitted in other departments/divisions in the company? Should front line employees be able to view what actions and decisions have been made on a reported concern? Should employees be notified of submitted issues by management? Who manages highly sensitive and confidential issues? How involved should employees be in change management? You company has unique needs and you should customize your transparency stance as you best see fit. 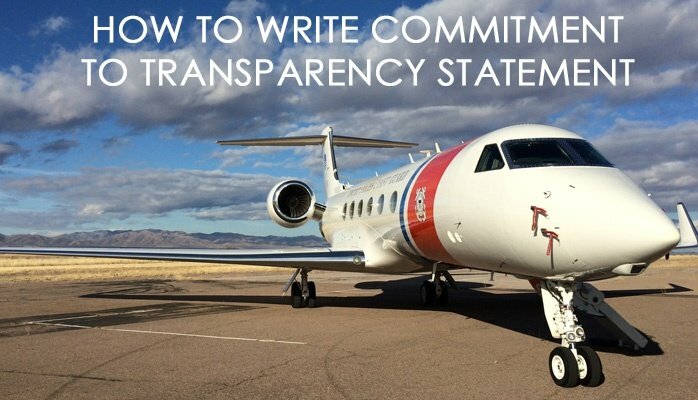 You want your commitment to transparency to be clear enough so that all employees understand what your stance is, but no so specific you can’t fit it on one page. How much of each type of information each role has access to. What others can view when they report an issue.